Majority of times people do not know the difference between Kitchen Renovation and Kitchen Remodelling. Considerable difference between Renovation and Remodelling would be the movement of walls, structural expansion and sometimes involves moving of entire room. If you are planning to change your countertop along with backsplash, reface the colour of your cabinets or simply remove your existing kitchen and replace it with new cabinets and new countertops, then you are looking to renovate your kitchen. When you are looking to relocate your kitchen to your existing living room and/or completely change your current layout by removing existing wall/s and replace all your flooring, then you are looking to remodel your kitchen in full. The words “remodel” and “renovate” are often used interchangeably. However, for design and build professionals, these terms mean two very different things. As you can see, “renovate” means to make new again. In the world of home construction, this includes re-painting, re-facing cabinets, installing new light fixtures, or adding other finishes and fixtures. The original design isn’t altered drastically, but rather, it is updated to a new standard. Renovating a room in your home, especially a kitchen, not only makes the space more attractive, but may also add value to the home or condo. For instance, if you’re looking to sell your home in the near future, adding stainless steel appliances, granite countertops, and replacing the cabinets in your kitchen will often increase the chance of a sale and deliver a return on your investment. A remodel involves changing the use of a space. When the structure and style of a space is completely transformed, this is considered a remodel. If you want to change the layout of a room and re-configure the floor plan, you’re remodeling. In a kitchen remodel, for instance, you may decide to combine the kitchen with the living room to create an open concept kitchen layout. Or perhaps you’d like to install a kitchen island to create more functional space for cooking. Whatever it is, remodeling breathes new life into a room, giving the space a whole new look and feel. 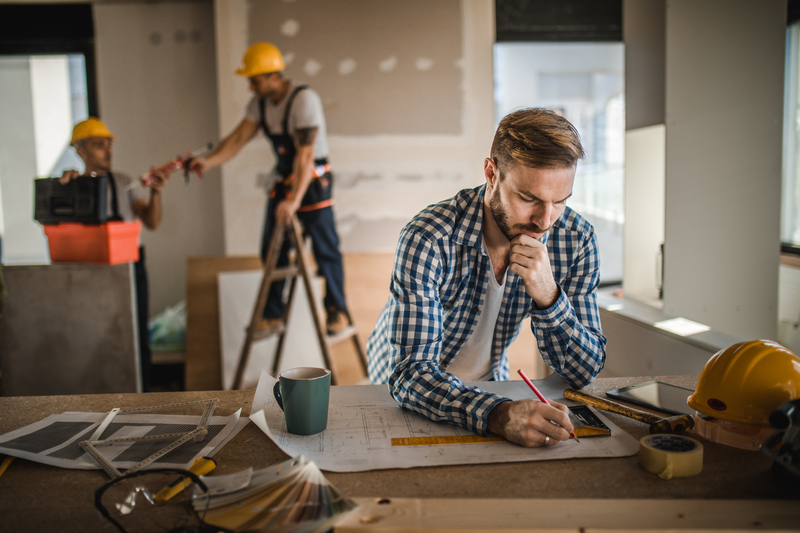 Because remodeling involves complex design considerations as well as construction, electric, and plumbing expenses, it typically costs more than renovating. For this reason, it is important to consult an experienced design build contractor or architect before you begin a remodeling project. If you are interested in remodeling your home, it always pays to make sure that your project gets done right the first time around. We are members of the industry’s most trusted organizations such as the National Kitchen and Bath Association; thus providing you with a high quality kitchen renovation in Greater Toronto Areas. We guarantee that the final result will surpass your highest expectations. There is nothing that we can’t do to complete your kitchen. The whole job will be completed by Kitchen Land experienced & liscenced tradesmen. We take care of all trades involved in the project and make the experience seamless for the customer.